Spring has arrived in the Himalaya and the climbing season is just kicking off. 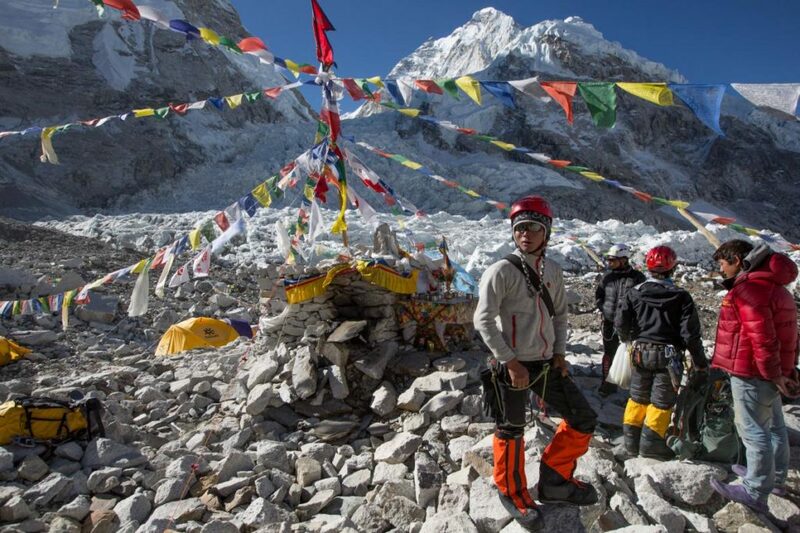 As independent and commercial expeditions alike descend on northeastern Nepal we take a look at the history of the region and what visitors will experience as they acclimatise and prepare in the Khumbu Valley. Geographically isolated by the surrounding Himalayan peaks, the Khumbu Valley was only settled in the late 1500s when large numbers of the Sherpa people travelled across the high passes, fleeing political changes in Tibet. Up until this point the valley had remained largely untouched, save for a few Rai shepherds, who likely used the area to graze their livestock during the short summer months. 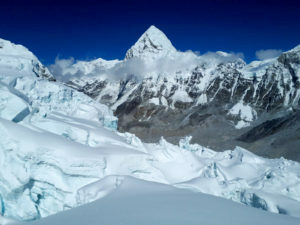 The arrival of the Sherpa people resulted in permanent settlements in the region, with tiny villages springing up at elevations up to 4,410 m. The Sherpa, or “people who live in the east”, also brought the Sherpa religion to Khumbu, a form of Buddhism based on the oldest sect of the Tibetan religion. 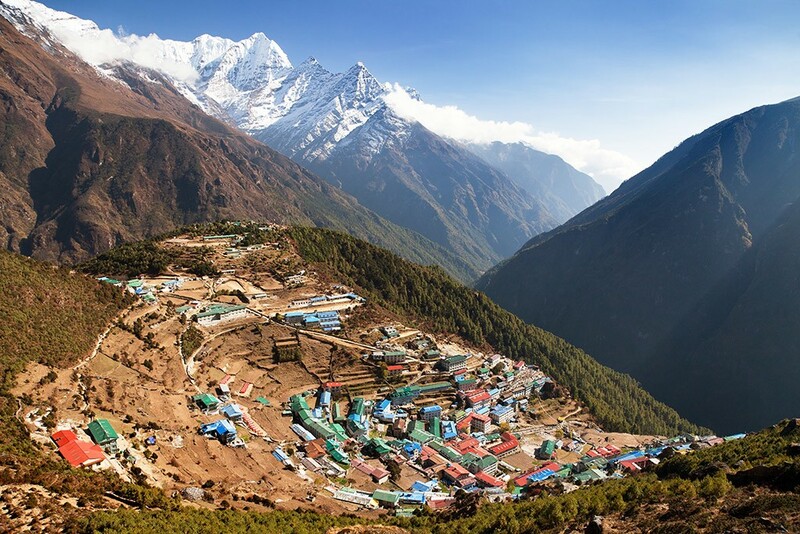 The Khumbu Valley is believed to be a place of refuge, a beyul, set aside by the founder of Buddhism, Guru Rinpoche. During the 19th Century some of the Sherpa successfully established themselves as intermediaries and high-altitude porters serving the trade route between China and the Indian subcontinent. However, it was not until Nepal opened to the West in 1952, and the first successful ascent of Everest was achieved in 1953, that the Sherpa, and the Khumbu valley, gained worldwide attention. Since 1953 the Himalayan climbing scene has exploded. Over 35,000 visitors make their way to the Solukhumbu district annually, and a staggering 8,306 successful summits of Everest have been achieved. Most expeditions begin with a flight from Kathmandu to the airport at Lukla, though commercial operators are increasingly making use of helicopters to ferry teams directly to villages at higher elevations. From Lukla both trekkers and professional climbers can hike in to the Khumbu valley, gradually acclimatising as they move from village to village. 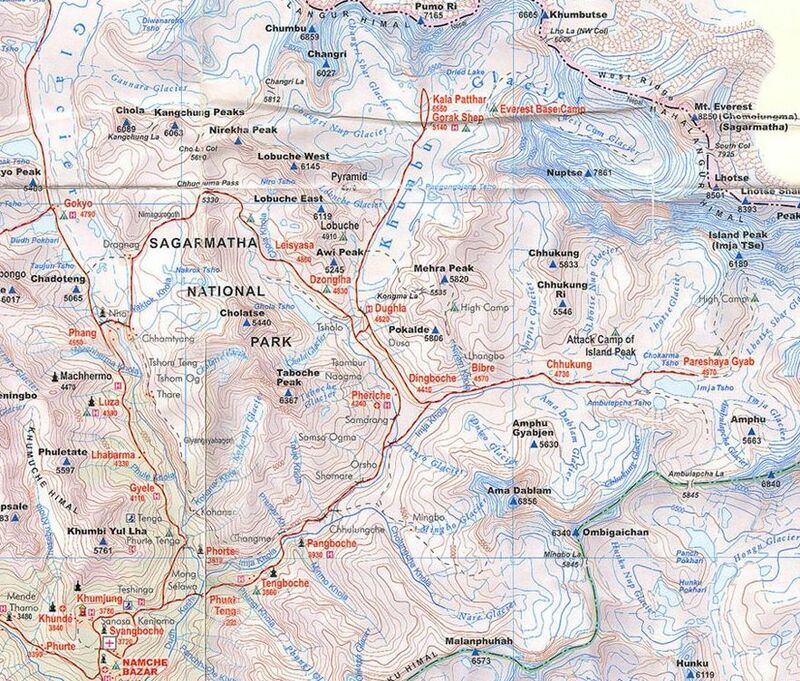 The valley is surrounded by Sagarmatha National Park, a protected area with 8 peaks of over 7,000 m and diverse flora and fauna. Up to about 4,000 m you will find mixed pine and oak forest, as well as flowering rhododendrons depending on the time of year. 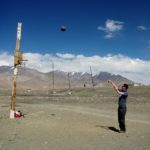 The expedition teams will be lucky to see any large wildlife, but Himalayan tahr, musk deer and even the elusive snow leopard are all fairly abundant in the park. The majority of visitors will pass through Namche Bazaar before heading further up the Khumbu Valley. At 3,500 m Namche is the place to pick up any final pieces of kit or supplies before attempting to summit the surrounding peaks. This year commercial and independent teams are already beginning to arrive at some of the higher altitude villages, such as Pheriche and Dingboche, where they will begin to acclimatise for their expeditions. 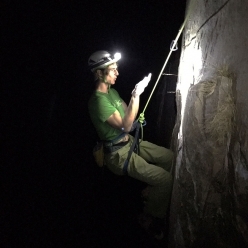 Some teams are even beginning to take on more strenuous acclimatization hikes. At 6,145 m and within easy reach from Lobuche village, Lobuche peak is a popular staging ground and will see heavy mountaineering traffic while the Sherpas begin to set up Everest Base Camp for the arrival of their clients. 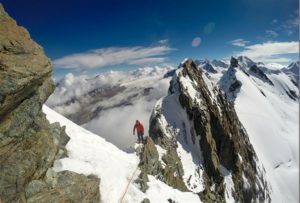 The next few weeks will see climbers take on progressively more difficult climbs, acclimatising at increasingly high altitudes as they go, and ensuring that they are well prepared for their eventual arrival at base camp. Explorers Web will be covering all the major Himalayan expeditions, with regular updates and news as it arrives. 1 Comment on "Trekking the Khumbu – Everest Season 2018"
Why don’t you guys write about Manaslu Circuit ? 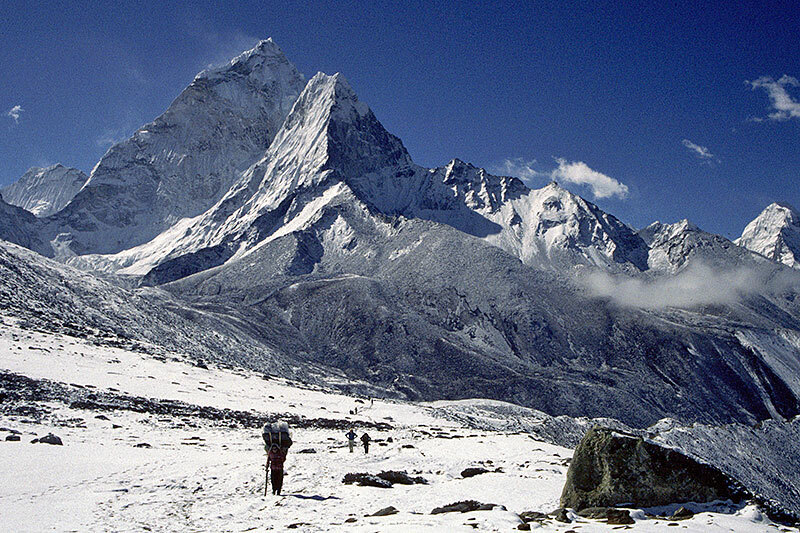 It is also very popular trekking area in Nepal.